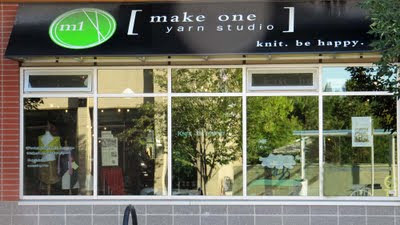 Today I finally checked out a yarn store here in Calgary, Make One Yarn Studio. It's in the Bridgeland area, a revitalized/upscale/pricey neighborhood. From the minute I walked in the owner and her assistant were very welcoming. The shop is quite large. 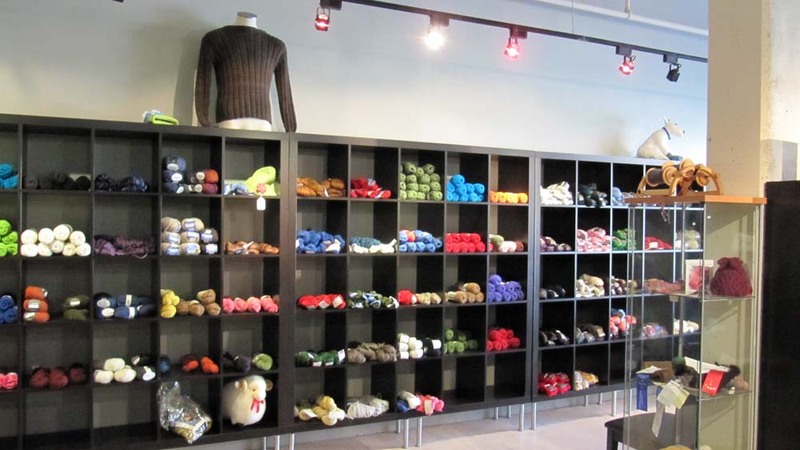 There isn't a lot of yarn, but what they have is nice. 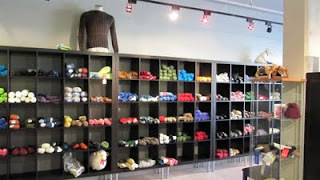 I think I have more yarn in storage, but then, I could easily supply any yarn store, I'm sure! They invited me to come to their Tuesday evening knit night and their gathering next Friday for the Tapas Club launch....or to just sit and knit at any time. 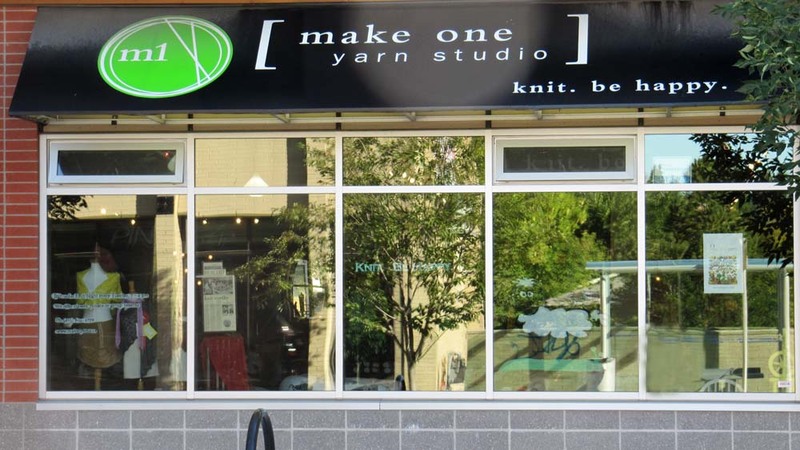 I mentioned that I was looking for a yarn that represented Alberta and I was shown some but nothing really "spoke to me". One was nice but the only color they had was yellow and not a color that would suit my project, block #43 of my Travel Afghan. So, the search continues. I've been invited to the loop, in the Kensington area, on Thursday and I'll see if anything catches my attention there.